Three Months Of Road Works. 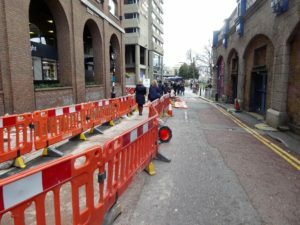 Complicated ‘improvements’ will take three months in this narrow part of St Katharine’s Way, which feeds into St Katharine Docks, the Tower Hotel and the Tower of London. It gets extremely busy with both pedestrian and road traffic, including heavy vehicles. 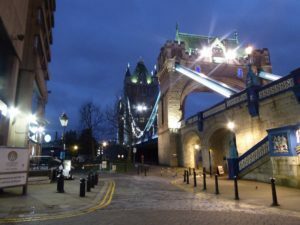 I often use this route to get to Tower Hill Underground Station; it’s an easy ride on my hired Santander bicycle and I am fortunate to have a cycle docking station close to my flat. 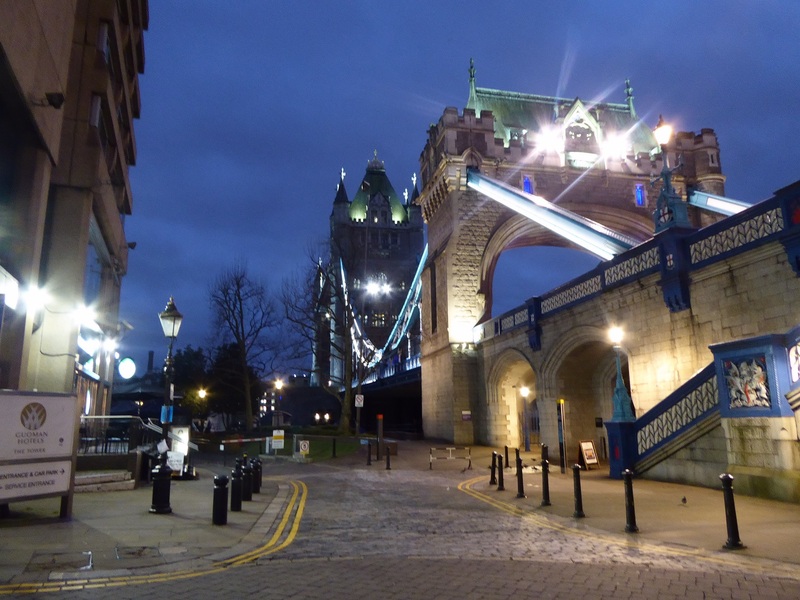 Another great advantage is cycling home- the five minute ride allows a brief site of my beloved Tower Bridge, it also provides for a pleasant breath of fresh air as I whizz down the gentle incline, turn left into St Katharine Docks, with the joy of passing the boats in Central Basin, over the lock and onto my flat. 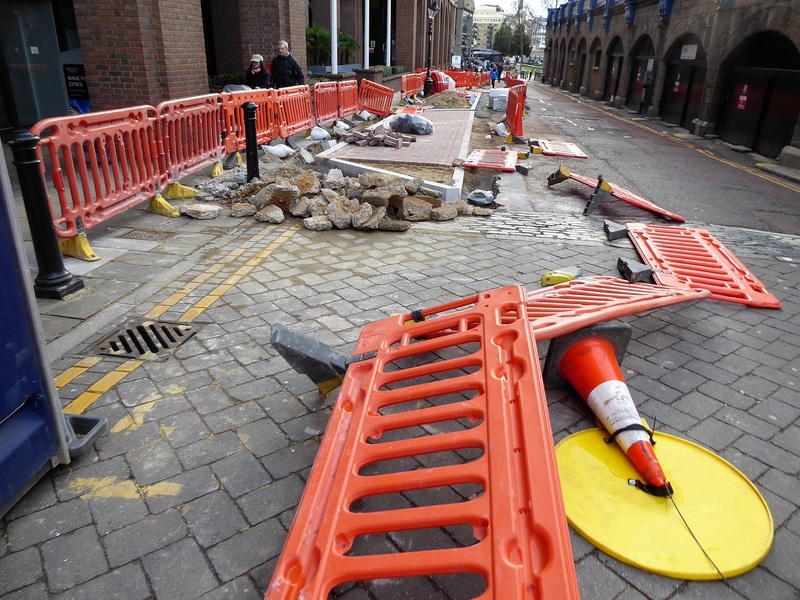 High winds blew the barriers all over the place at the weekend (thankfully not crashing into me on my bike), causing the chaotic look you can see from the pictures.. 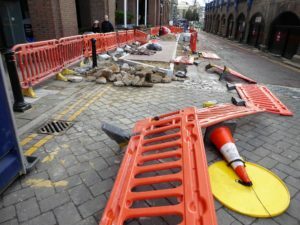 Though sandbags are now weighing down these flimsy barriers, someone should have anticipated the problem- it wasn’t impressive! 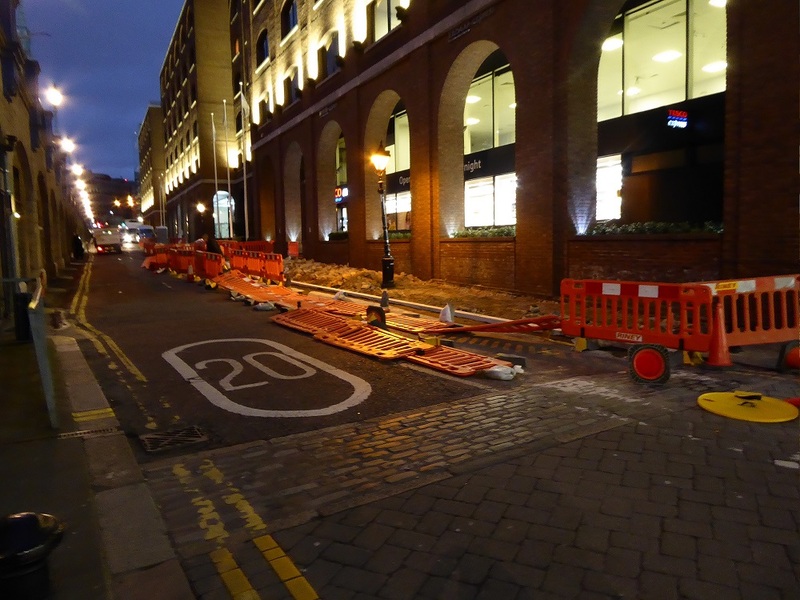 Night Time Picture Of Fallen Barriers. Inspiring Sight As I Cycle Home.